Think you’ll need a fire extinguisher to cool off your taste buds after a spicy Guatemalan meal? Then the subtle herbs and spices of Central American cuisine may just catch you by surprise. With rare exceptions, Central American dishes bear little resemblance to the fiery-hot Tex-Mex fare many people equate with “south of the border.” Guatemala’s melding of Maya, European, and Afro-Caribbean cultures make for earthy, complex flavours. Even foods of the same name—tacos, enchiladas, empanadas, tortillas, seafood stew—may taste vastly different from one country, city, or town to the next, so everywhere you go, there’s always a delicious new experience awaiting you. 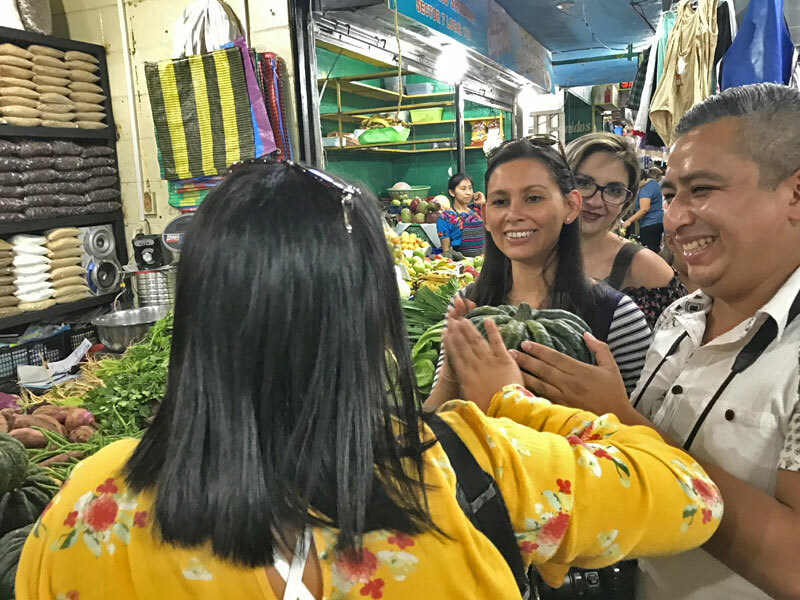 For adventurous foodies, there’s no better way to experience the true flavours of Guatemala than by sampling fare from local street and market vendors. 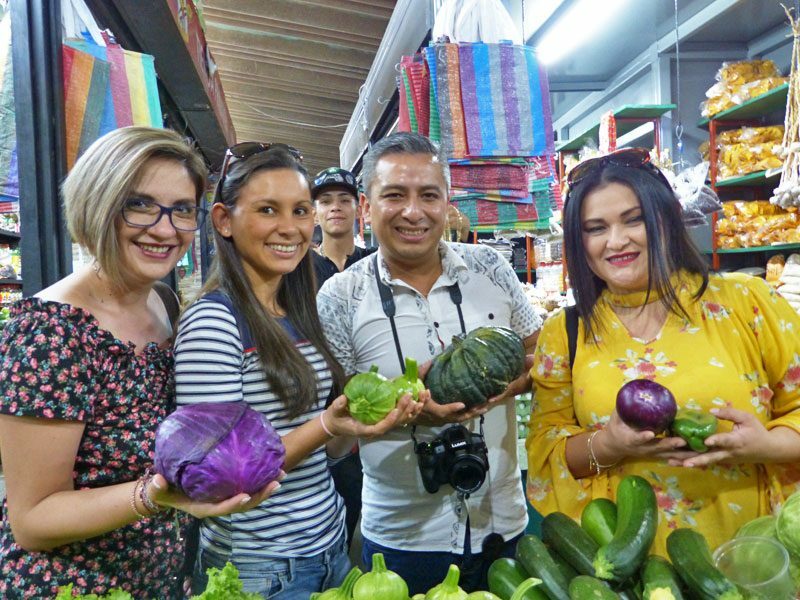 However, even high-end restaurants are now embracing Guatemala’s traditional cuisine, either with exacting attention to generations-old recipes or through creative international fusions. Look for menu items making the most of the local offerings, like fresh seafood on the Caribbean or chocolate in the cacao-growing regions. 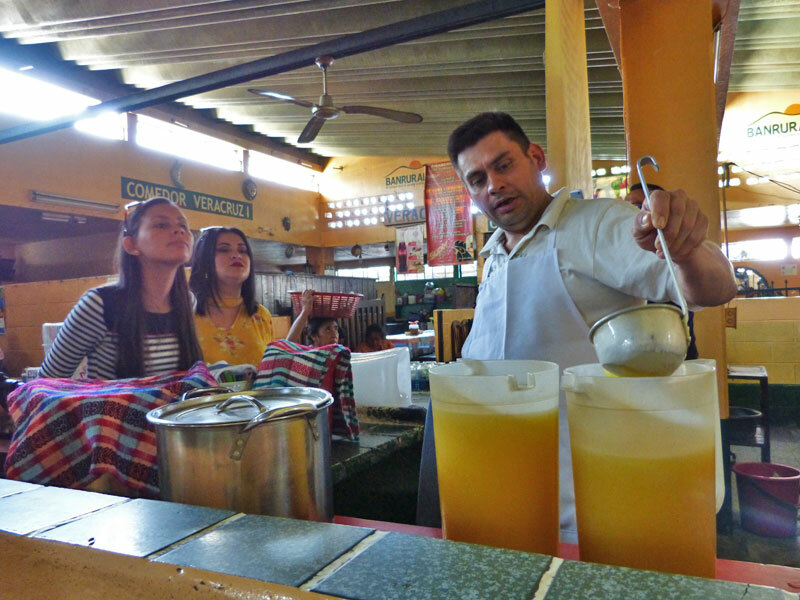 Then, send your taste buds on their own exotic journey and discover the culinary heart of the Guatemalan people. 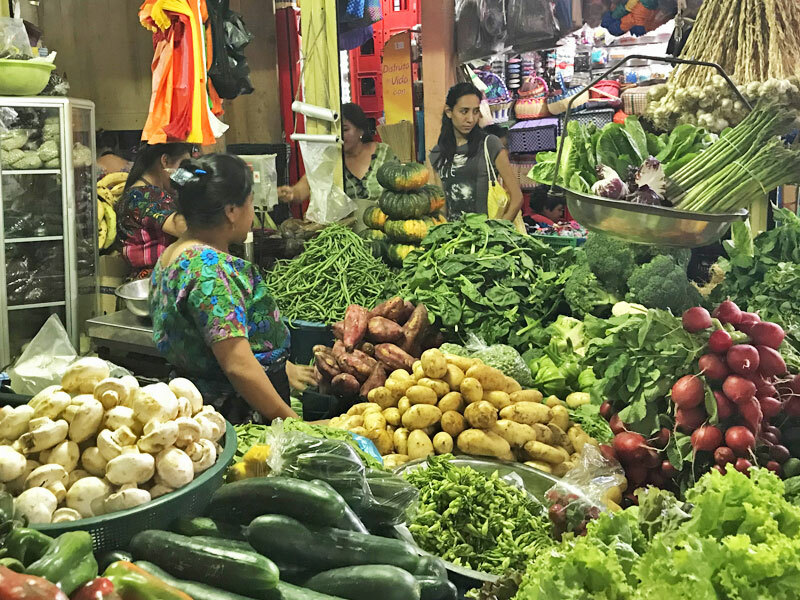 Guatemala officially named four pre-Columbian dishes—pepian, kaq-ik, jocón, and platanos de mole—as part of the country’s cultural heritage in 2007. Each of these dishes, still beloved today, is a 16th-century fusion of Maya and Spanish-Arabic ingredients and influences. Pepian, a deep-green stew or sauce served over chicken, beef, pork, or all three, owes its nuanced, multi-layered flavour to an aromatic blending of 20 or more ingredients, including roasted vegetables, peppers, ground seeds, herbs, and spices. This complex dish can require 20 hours of preparation. 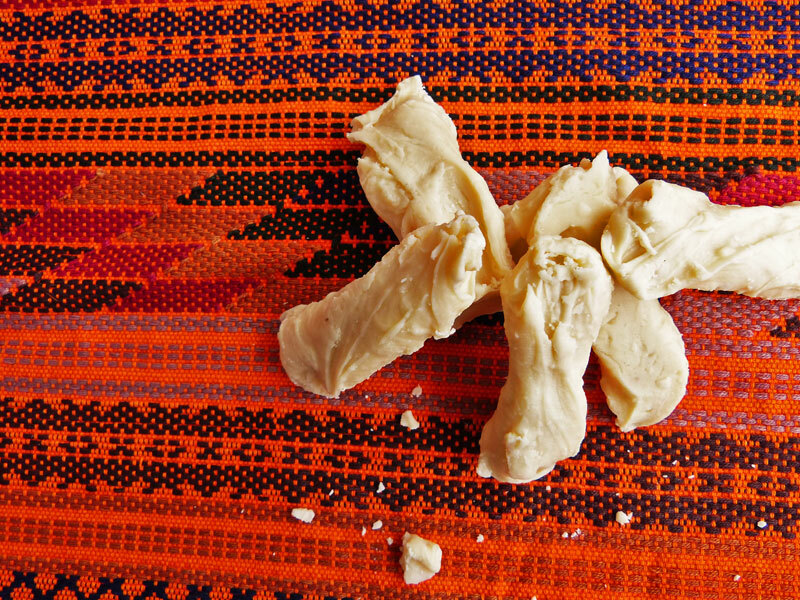 The Kaqchikel Maya originated pepian and later enhanced it with herbs and spices brought by the Europeans. 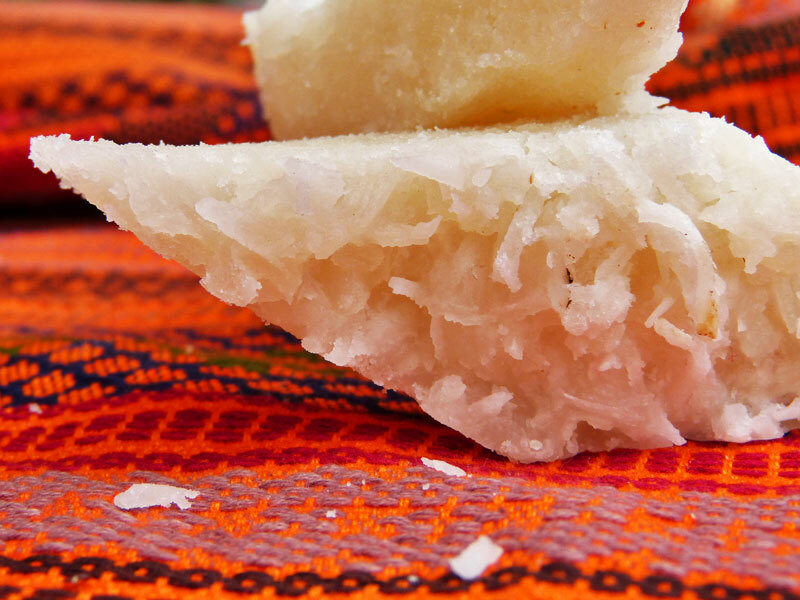 Through the ages, the aroma and flavour of pepian has marked ceremonies, special events, and holiday celebrations, but you can also find it year-round in tipico (traditional) restaurants and some comedores (local eateries). 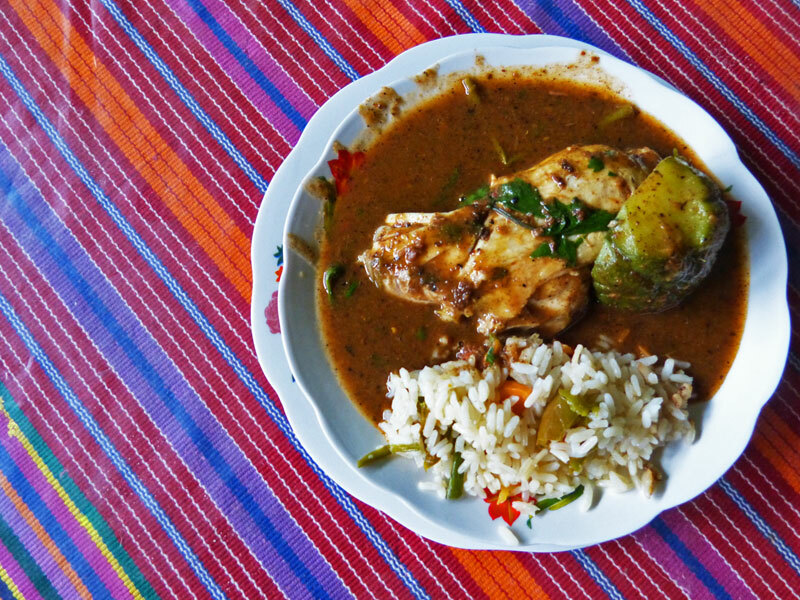 Kaq-ik, a bright red, tomato-based turkey stew traditional among the Q’eqchi’ Maya, delivers a bit of that spicy kick many expect from Latin American cuisine. Kaq-ik (which means “spicy red” in the Mayan Q’eqchi language) gets its heat from Cobanero chillies grown in Guatemala’s Cobán region. Kaq-ik is a meal in itself, arriving at the table with an entire cooked turkey leg in each bowl. It’s usually served with rice and small tamales (corn dough steamed in banana leaves) on the side. From the K’iche’ Maya of Huehuetenango comes jocón, a thick, pale-green stew combining chunks of chicken, tomatillos, cilantro, onions, chillies, garlic, ground pumpkin seeds, and corn flour. Many mistake the nightshade vegetables that contribute to the lovely green hue of this dish—tomatillo (also known as miltomate, Mexican tomato, or husk tomato)—for unripe red tomatoes. However, the fruit of this plant never turns red. It grows within a thin, paper-like exterior husk that is removed before cooking. It’s a key ingredient in many of the green salsas used in Latin American cuisine. For dessert, platanos en mole is a sweet treat of plantains (a starchy member of the banana family) covered in a rich mole sauce. Mole is a deep brown sauce blending an intriguing combination of flavours: locally grown cacao, cinnamon, chili, tomatoes, and sesame seeds. Although many associate moles with Puebla or Oaxaca Mexico, this distinctive mole originated in Guatemala’s San Marcos region and tends to be sweeter than Mexican varieties. 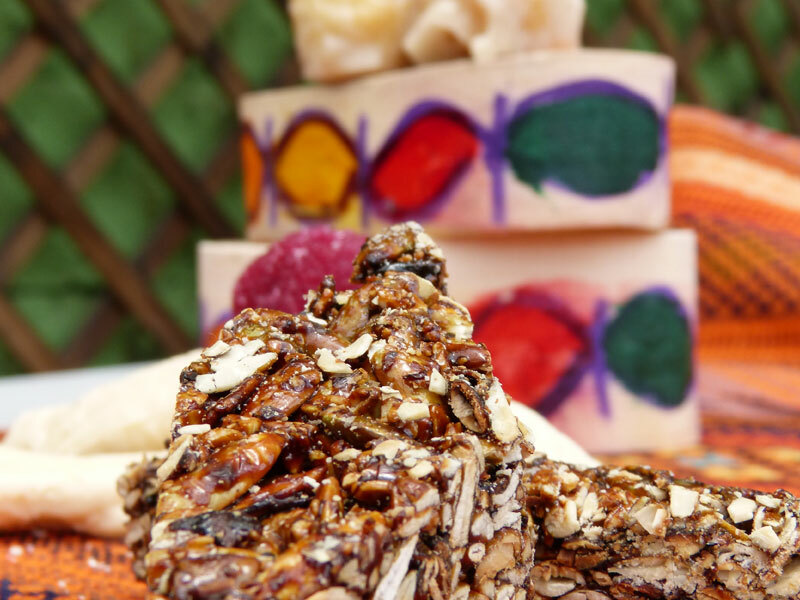 The Garifuna culture contributes mouthwatering traditions to the Caribbean regions of Guatemala, Belize, and Honduras. Known for abundant seafood, Guatemala, Livingston, and Puerto Barrios are home to tapado, a hearty, tomato-based seafood stew that owes its distinctive flavour to the Afro-Caribbean heritage of the Garifuna peoples. Mouthwatering chunks of seafood—often an entire cooked fish or crab—peek out of the stew, and coconut-milk lends it a creamy texture and Caribbean flare. Served with a side dish of rice (also made with coconut milk in the Garifuna style), tapado makes a full, satisfying meal. 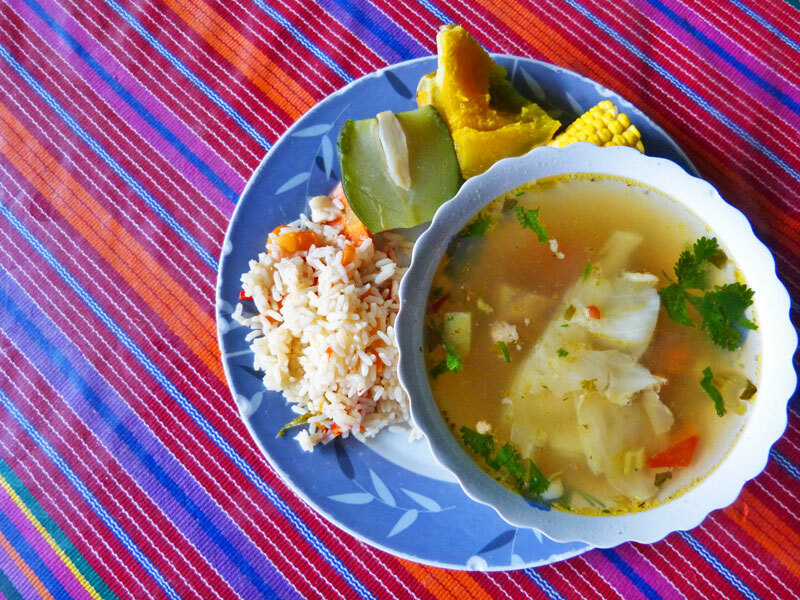 Two other must-try Garifuna dishes are machuca and darasa (also spelled dharasa). 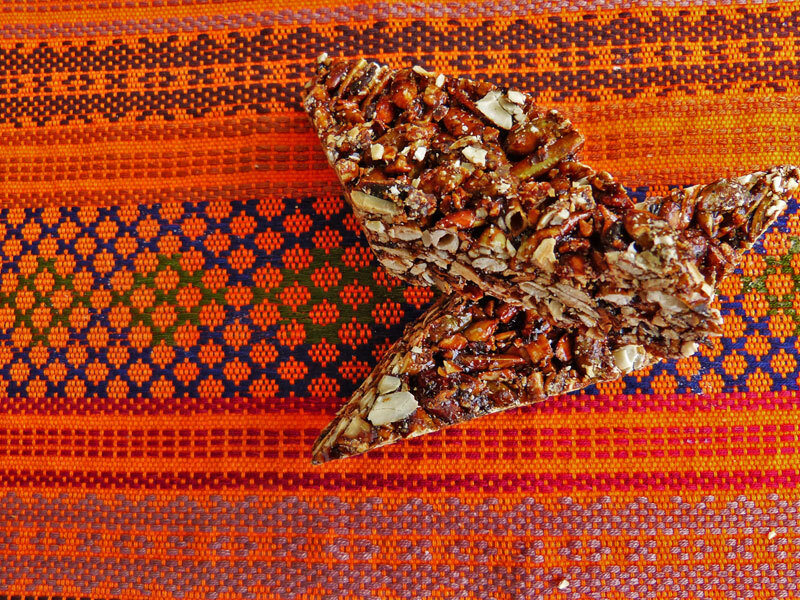 Machuca is a daily staple of the Garifuna people. It’s made with boiled and mashed plantains, and it’s usually served with the fish and coconut-milk stew known as hudut or hudutu. Darasa, a banana tamale, steams a combination of mashed green bananas, lime and orange juices, and coconut milk in a banana-leaf wrapping. The inedible leaves are tied into small bundles before steaming and then opened on your plate to reveal the tasty treasure inside. If that’s not enough coconut for you, another regional favourite is coconut bread, which is a roll traditionally made with shredded coconut and “pan-baked” over a wood fire. Local women often sell these breads along the streets in Puerto Barrios from baskets confidently balanced on their heads. Walk into a shop selling dulces tipicos (traditional candies) and you may be surprised to find very few chocolates. 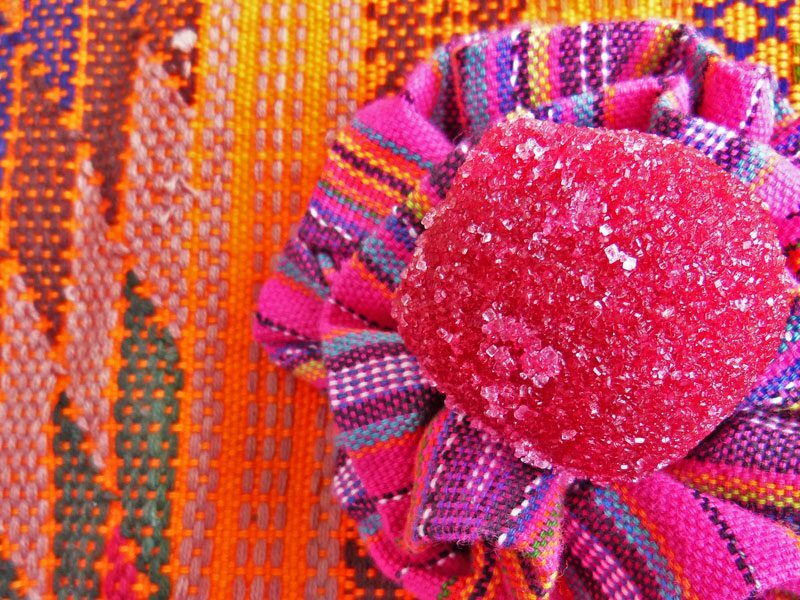 Guatemalan sweets take advantage of the country’s abundant sugar cane and fruit crops; cacao is mostly reserved for making a traditional hot cocoa-type drink. 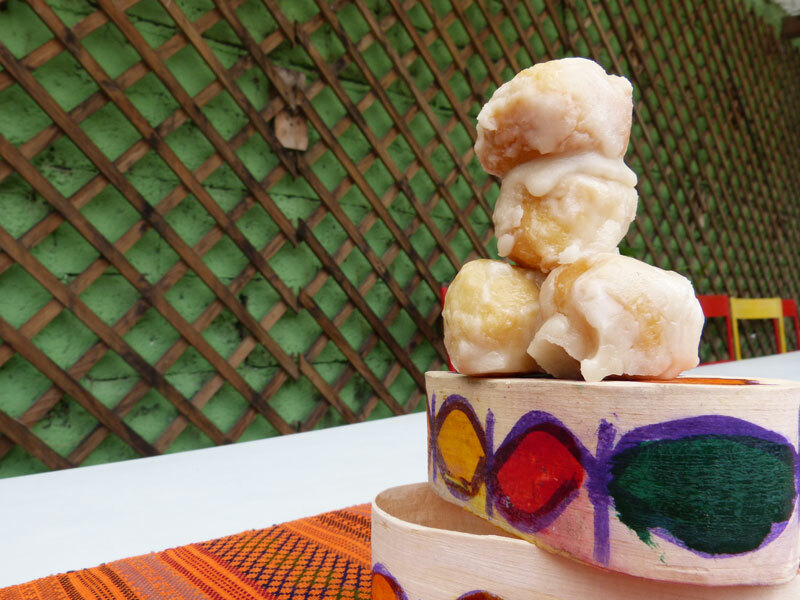 A few local treats include bolitas de tamarindo, red balls of peeled and sweetened tamarind fruit rolled in granulated sugar; canillitas de leche, a simple and sweet combination of condensed milk and confectioners’ sugar; torrejas or molletes, an egg-dipped, deep-fried bread, often filled with raisins, soaked in spiced honey or syrup; and pastel de elote, a dessert cake made with whole kernels of fresh corn.